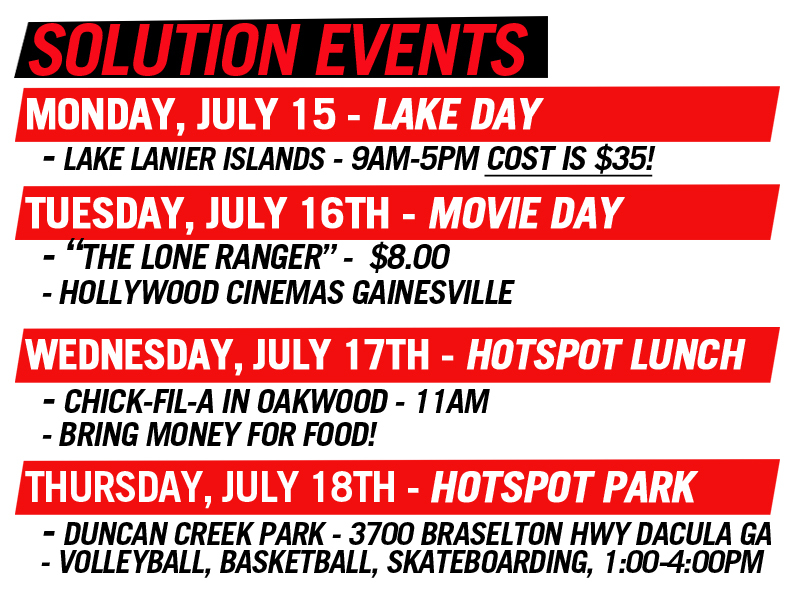 Join us everyday starting Sunday, July 14th – Thursday, July 18th for our Solution Hotspots, open to any and all Solution Youth students and their friends! If you have any questions, please feel free to call us! 678.677.8300!